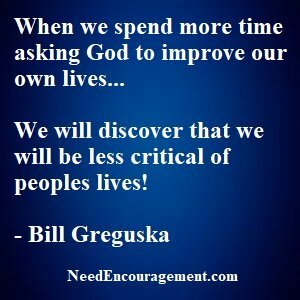 Improve your life by living a life that honors the Lord! Keep your eyes on the many blessing, rather than the troubles of the world. Here are some encouraging scriptures concerning how to improve your life. Improve Your Life By Setting Yourself Free! Let the refining and improving your own life keep you so busy that you have little time to criticize others. H. Jackson Brown, Jr. Improve Your Life! Check Out Your Physical Health! Media bombards us with beer commercials, violence, sexual advertisements. 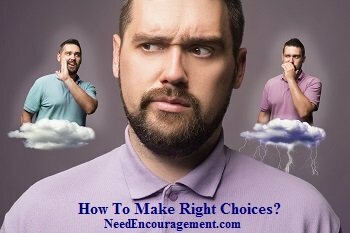 Do you need some encouragement to make the right choices! As you begin to know Him, He’ll show you His plan to improve your life. Do you want to take some positive steps toward learning how to improve your life? You have come to the right place. If you know Jesus Christ as your Lord and Savior, your life is on the right track, yet do not let yourself think that your life will be all of a sudden made simple. To improve your life, you need to get rid of some things such as (sins, bad habits, addictions, bad attitudes, to name a few). Can I live my life for God? Ways a Christian can cope while suffering from a degenerative disease? What does it mean that all things work together for good? Improve Your Life With Your Quiet Time With God! Apply These 15 Helpful Principles To Improve Your Life! If you want to improve your life, start with prayer! Love God with your whole heart, mind, and soul and love your neighbor as yourself. Exercising at least 2-4 times per weekly. Eating healthy food each day and sleep 7-8 hours per night. Avoid alcohol and drugs and also cigarettes and other harmful things. Accepting Jesus Christ as your Lord and Savior. Attending a Bible-believing church so you can grow. Personal daily reading and studying of the Bible. Fellowship with other believers and join a Bible study. Helping others daily or as a volunteer weekly can be of help to you. 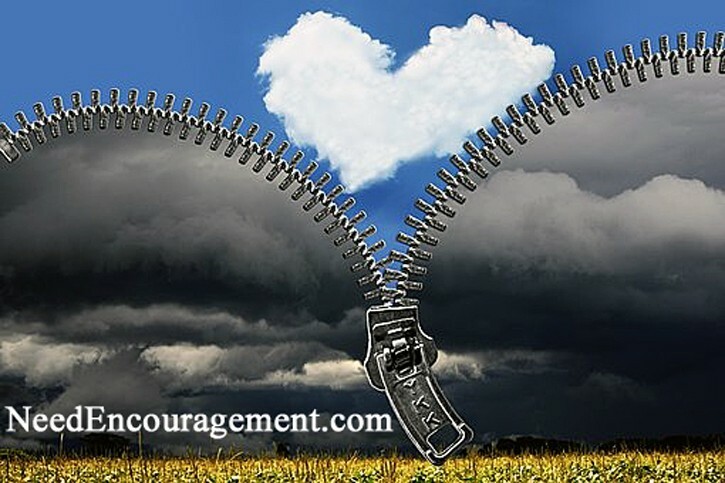 Contact a Christian counselor for personal direction. Sharing your testimony with others who are new in their faith. Forgive others including yourself and look for the good in all people. Personal prayer and have an accountability partner to offer you support. Be sure to keep in contact with family, friends, and others for support and encouragement. Find joy, laughter, and encouragement in your life by letting let go of things you can not control. 20 Things To Do To Improve Your Life! Improve your life by applying God’s wisdom to it! Eat more foods that grow on trees and plants and eat less food that is manufactured in by manufacturing companies. Sleep for 7 hours each night. Take a 30-minute walk daily. And while you walk, smile! Eliminate negative thoughts and things you cannot control. Invest your energy in the positive and in the present moment. Don’t overdo. Know your limits. Dream more while you’re awake! Forget issues of the past. Don’t remind your partner of his/her mistakes of the past; that will ruin your present happiness. We suggest that you make time to be alone with God and your thoughts, and cry out to God for his help no matter what that means to you. Pray to God for wisdom to know what to do, strength to do it, and perseverance to work it out to completion. Do not think that you can improve your life all on your efforts, for you will find that any success would be short-term done that way, instead include God in your plans and seek him in all your steps. It is critical to want to improve your life; you need to reflect and take an inventory of it to understand your strengths and weaknesses that you need to deal with. Your list does not have to be incredibly profound and gut-wrenching, but it does need to open up your eyes to see where you need to go to improve your life. Start by being prepared to take an honest inventory of both good and bad, strengths and weaknesses, successes and failures will help you to jump from where you are today, to where God wants you to be tomorrow. 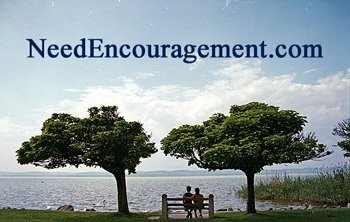 While you are looking for help with your problems, do not forget to encourage others! Many people overlook opportunities to encourage someone else. When you encourage others, you will see your problems begin to fade! Finally, we invite you to speak to a pastor, close Christian friend that could help keep you accountable for your goals.